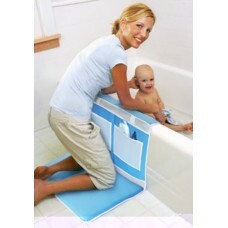 Say goodbye to sore knees and elbows while washing your kids in the bath with this Bath Kneeling Pad. Made from soft foam and water-friendly materials, this handy Bath Kneeling Pad will make bath time a whole lot easier. For additional convenience, the pad also comes with 3 large pockets in order for you to keep shampoo, soap and bath toys on hand. 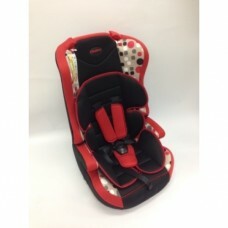 The pad unfolds in seconds and is easy to store away when bath time is over.